Just a short post today. A little reminder that you are indeed good enough and that the Comparison Game that we (okay, I) play is just a game. And a game that I would recommend not playing. It's funny how in this game, nobody wins and yet everybody still plays. Lately I've found myself comparing myself to others based on blogging numbers, external beauty, grades, income, and material possessions. It not only gets me down, but it makes me envious and a little mad, too. Yet the whole time I've been playing the game, He's been there calling me to Him. Pulling at my heart and soul reminding me that I am good enough and that He is the source of happiness and contentment. He beats everything in the Comparison Game and is the only thing that can bring me everlasting joy, peace, and comfort. Not to mention forgiveness and encouragement! So will you join me today and take a stand against this game? I would love to have someone keep me accountable on this one. Boy did I need this today! Let's both keep each other accountable on this! aw you're amazing and i love your blog. you take such beautiful photos!! And thanks for the compliment, too! Blogging and blog-reading have definitely helped my improve my photography (and Pinterest, too of course!). Well, your nieces are super cute! I cannot wait to be an aunt someday. I get to babysit here and there and I think it must be kind of the same feeling. A little different though, because I for one cannot wait to be called Aunt/Auntie! Hooray for blog friends! I've found they can be some of the best friends a girl could ever ask for. And you're no exclusion to that! Girl, I tell you what...there is just something about little voices calling you "auntie" and running through the house to find you! I had my niece B and nephie D in the car with me last weekend (I have my own car seats, haha) and I asked 3 yr old B if I should turn some of my music on. She replied "no, lets just sing!" So we sand Jesus Loves Me and This Little Light of Mine until we got back to their house. Auntie-hood is what melting hearts are made of! I couldn't agree with you more. I get called Miss Kiki or Teacher Kiki by the kids at the preschool I volunteer at, by the kids at Sunday School, and by the kids I babysit. It's such a great feeling and I love that they know my name! I definitely agree with you about blogging and photography. 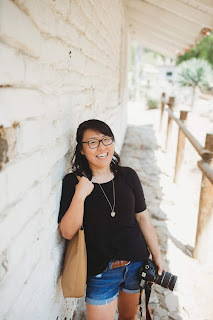 Blogging is definitely great motivation to improve my photograph, too! I'll admit, I'm a little jealous that you have a 40D! I only have the Rebel XS and only have the kit lens as well. I'm searching for a 50mm one since nearly everyone I know has one and recommends one, too. I cannot wait to get my hands on one of those lenses because I love all of the crisp photos (especially portraits) that they produce. That's super exciting that you might upgrade! I hope you do and write all about it on your blog!! HHHhhm, you will LOVE the 50mm when you get one! Too bad you're not close to me, I have a friend selling hers! But whereas we're both natives of the Pacific coast area, from what I can deduce from your pictures, I'm still quite a few hours below you. :( I know, frankly, I can't believe MYSELF that I have a 40D now! It was like a dream just dropped into my lap without any warning! I am so grateful for it! But lady, even with the Rebel XS, you're doing FABULOUS!! All I see is great photos on your blog! Yeah, too bad I don't live closer to you! I would love to get my hands on a 50mm asap, especially after seeing your photos! I just placed one of your buttons on mine, too! So excited you got into the button scene. Welcome to it, friend! i recently wrote a post about working on not comparing myself to others! it is hard to not do but so true that it steals your joy! 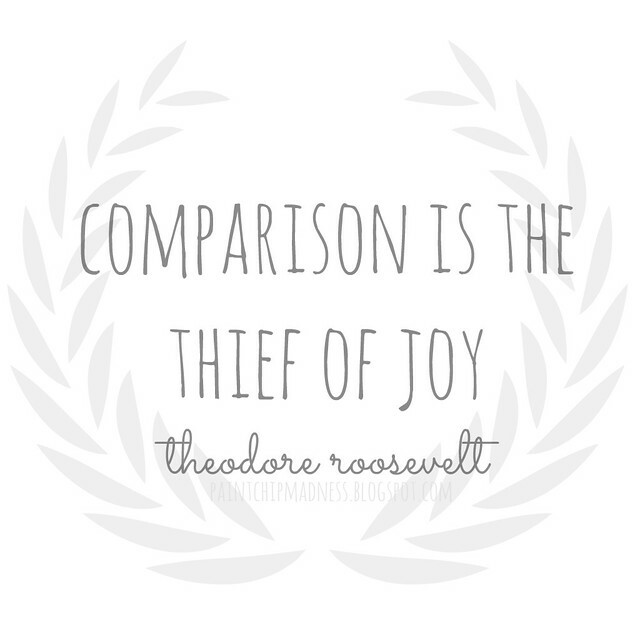 Comparison definitely steals our joy. If only I remembered that everytime I compared myself to others! :) Anyway, that's so cool that you wrote a post on that, I'll definitely have to check it out!